The strength of any company lies in its people. Henry Ford understood this and from the day Ford Motor Company was formed, its workforce was recognised as its greatest asset. Even the UK’s best-selling car, the Ford Fiesta, still relies upon the skills of the designer, the engineer and the assembly worker. 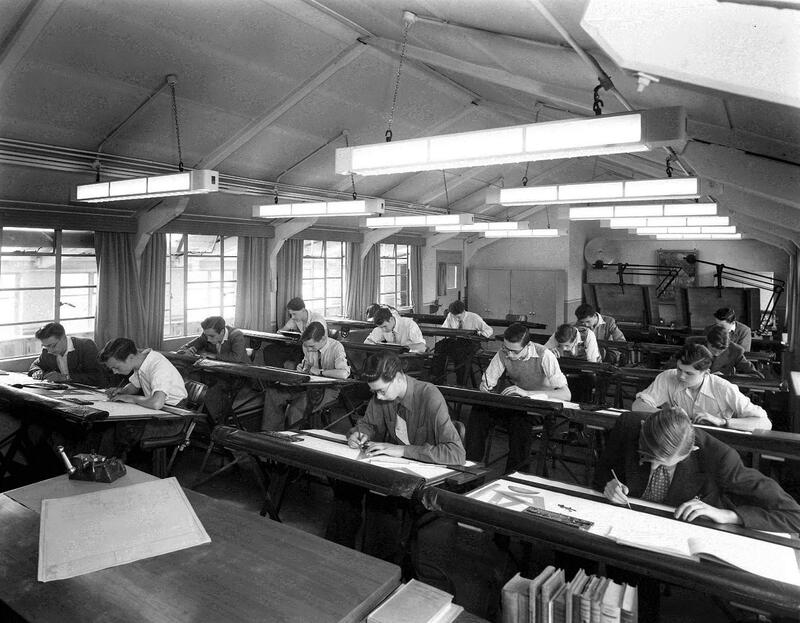 This week’s image focuses on a group of trainee draughtsmen in 1950. A thorough training programme ensured each recruit reached full potential and helped contribute to Ford’s leadership in the UK market. 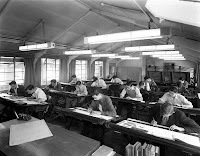 Ford’s long tradition of welfare has progressed from the $5-a-day wage in the USA in 1914 to sponsoring educational and charitable programmes throughout the 20th century. To help celebrate the Ford of Britain Centenary the company has launched the Ford Blue Oval Scholarship Programme, which will sponsor 100 university students in the fields of engineering, science and innovation.